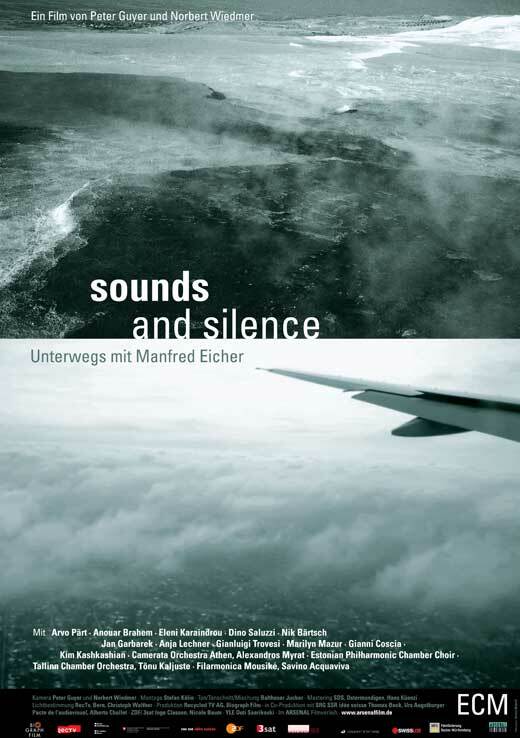 Last week I attended the New York City premiere of Sounds And Silence, a documentary about the work of ECM record label founder and producer Manfred Eicher. ECM is known for its exquisitely recorded releases by modern composers, jazz improvisers, folk and world music artists. There’s a lot of natural resonance and space on ECM releases, partly due to the musical designs and partly due to the spaces in which the musical performances are recorded. How to sum up the ECM sound in three words? Minimal, luminous melancholy. In the hundreds of recordings he has produced since the 1970s, Eicher has found this sound aesthetic over and over again. Besides the first-rate music making, one of the more remarkable aspects of this film is the quality of social interaction between Eicher and the film’s other protagonists as well as the intense focus demonstrated by just everyone we see in ECM’s orbit; indeed, there’s an immense amount of collective care and fuss to get things sounding just right. In one scene, a piano technician rapidly applies a fine sandpaper to shape the felt hammers of a piano and then gingerly applies a blowtorch (!) to straighten them while the jazz pianist Nik Bartsch hovers attentively over his shoulder. In another scene, an oud maker visits Anouar Brahem at his house to present him with a half-finished instrument to assess. Brahem holds the oud in silence, running his hands over its continuous curves, and then sings pitches into its resonating hole and listens, imagining the oud’s luminosity when it’s finally strung and ready for playing. “I can’t wait to hear it” he says excitedly. Watching scenes like this I was struck by the constant, concerned and nuanced talk going on around musical sound and musical instruments. The people in this movie really care about and come together around music.